You know, I've been wishing I asked if they hopped the beer. I'm guessing no - in fact I smelled the fermenting stout wash and didn't smell hops. They may just be using the grain bill from those beers. I can imagine that bitterness would be weird after distillation. The dry hopped whiskey is dry hopped after distillation (I think anyway) - It's a pretty fresh hop flavor. I agree with how you set priorities. 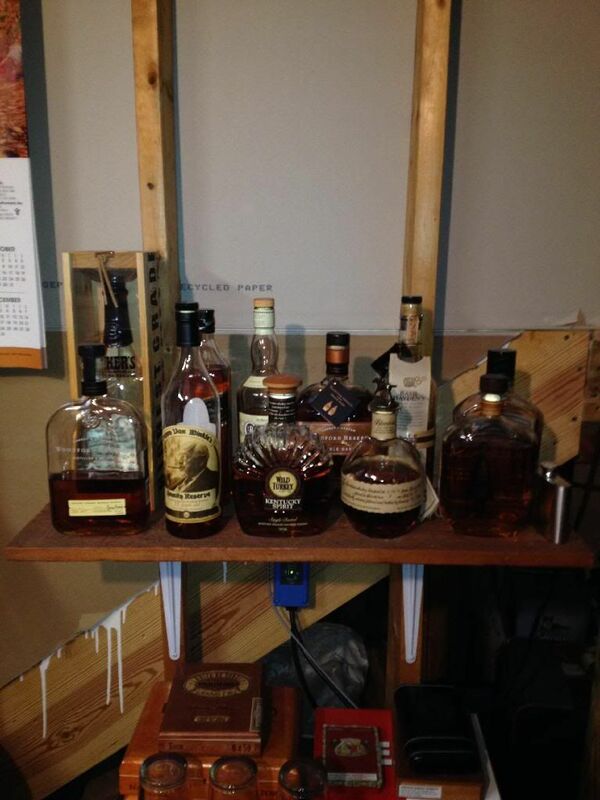 Why waste money on something as superficial as drywall when it is much better spent on spirits! The hops do not come across as bitter. It is a funky flavor that comes from the part of hops that volatilize at the same temperature as ethanol in the distillation process. The flavor does not diminish with successive distillations either. That's what makes me think the flavor component has the same vapor pressure as ethanol. Dry hopped after distillation... Hmmm... Interesting idea. I'm gonna have to give that a try. This is my cellar where all of the Zymurgical wonders occur. Whiskey = Instant heartburn for me. I wish I could enjoy it, my brother is a huge whiskey fan and would like to join in. Me too. I just power through it though. Whiskey's just too damn good. Thanks for the recommendation Hoosier, this will be my tasting for the evening. 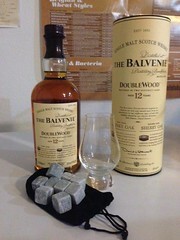 Also trying out the new glass and whiskey stones. Personally, I'm guessing the stones are going to end up being gimmicky but I'll use them proudly as it was a really thoughtful gift. Cheers! PS- This stuff aint cheap in Oregon, $59 for the bottle. Thank you Oregon Liquor Control Commission. Yeah, I have the stones and they don't do much for me. I either go neat with about two straws full of cold, filtered water or with one or two ice cubes. I enjoy seeing how the flavors change as the ice slowly melts and progressively dilutes the Scotch. The tasting glass, on the other hand is a fantastic investment. Love mine. Finally cracked a bottle of Old Bardstown. And I mean cracked. F'ing wax on a screw-cap. Honestly it was a messy struggle to open the bottle. Anyway. Nice bourbon and really smooth at 101 proof. To me it is kinda like Scotch. Think this one will be savored. Just kegged my Bourbon Porter today. I used Old Bardstown for 5 gal, and Buffalo Trace for the other 5 gal. I consider these very solid bourbons. I think both will be great. I wonder how that Maker's bottle is going to appear when the label is in Japanese? Whiskey is getting very big in Japan. Wasn't expecting it but am not surprised it happened. 13 Billion is a lot of dough.